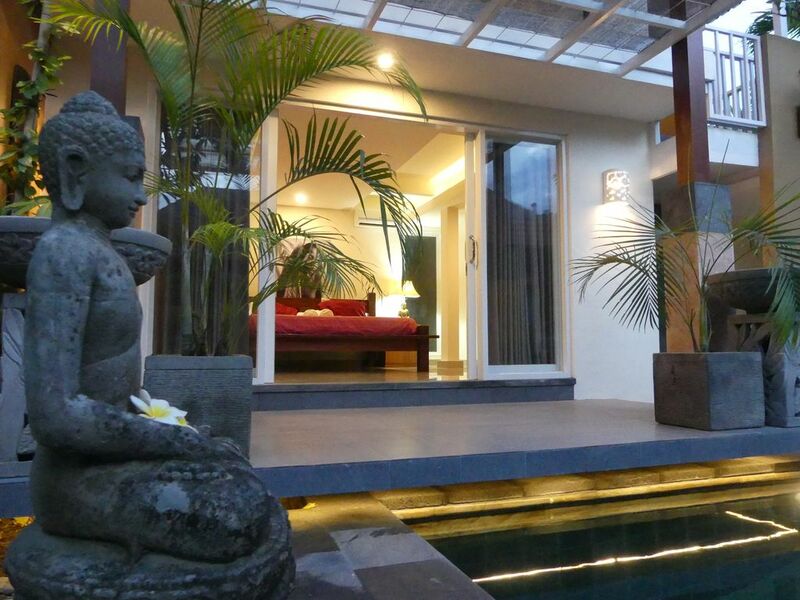 Lovely newly renovated private rooms x 2 in quiet safe area in Sanur. Beautiful gardens friendly hosts a few cute dogs and a cat. Close the beach and main village 5 minute walk or 2 minute ride on free bicycles. Surrounded by great restaurants, warungs and shops. Private Surf lessons available on request or Surf schools just down the road as well as an abundance of outdoor w/sports activities. Large 20+ sqm rooms with kingsize beds, AC and loads of storage. Did I mention free Bicycle use.